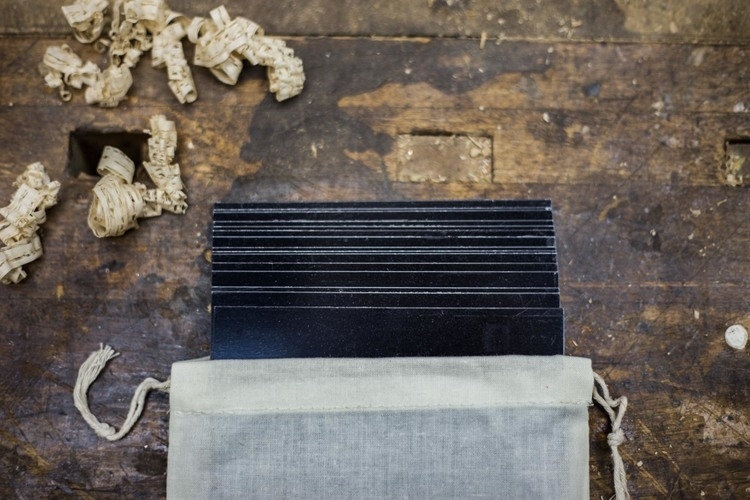 10 pack of 8x10" aluminum plates used with the Wet Plate Collodion process. The Modern Collodion Premium Wet Plate Drying Rack for tintypes and ambrotypes is made from solid quarter-sawed American white oak. It can support 15 plates at one time. The drying rack can hold plates from 3.25" x 4.25" all the way to 8" x 10", and folds up for easy storage and portability. 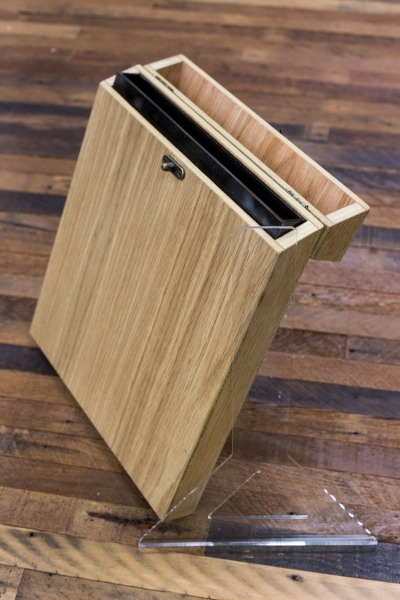 With a beautiful, hand-oil finish and large hardware it's sure to make a statement. Modern Collodion is known for having the highest level of quality and craftsmanship so their products are not only functional but also exceptionally beautiful. 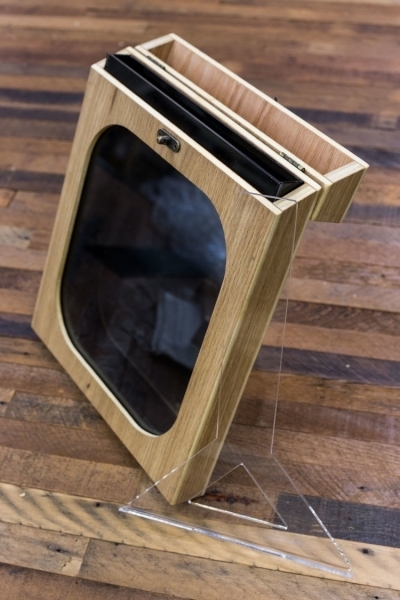 Their handcrafted wet plate collodion equipment is made right here in America and not only are the products made from the finest quality wood milled to exact specifications, but no two are exactly the same. Modern Collodion Silver Bath Tank is designed for sensitizing plates up to 8x10 inches. It is made of beautiful white oak with a natural hand oil finish. Comes with removable liquid tight acrylic interior, dipper, kickstand, and ornate swing clasp to keep the lid closed. The dipper is made with minimal surface area to avoid suction on plates and for easier draining. Modern Collodion Fixer Bath Tank is designed for fixing plates up to 8x10 inches. Each one is hand-made with a window to watch that magical moment when the milky negative turns into a beautiful photograph. 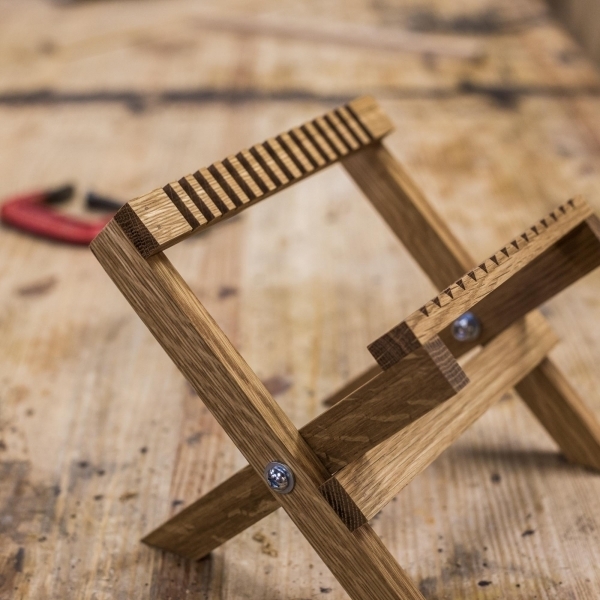 Made of beautiful white oak with a natural hand oil finish. Comes with removable liquid tight acrylic interior, dipper, kickstand, and ornate swing clasp to keep the lid closed. The dipper is made with minimal surface area to avoid suction on plates and for easier draining. 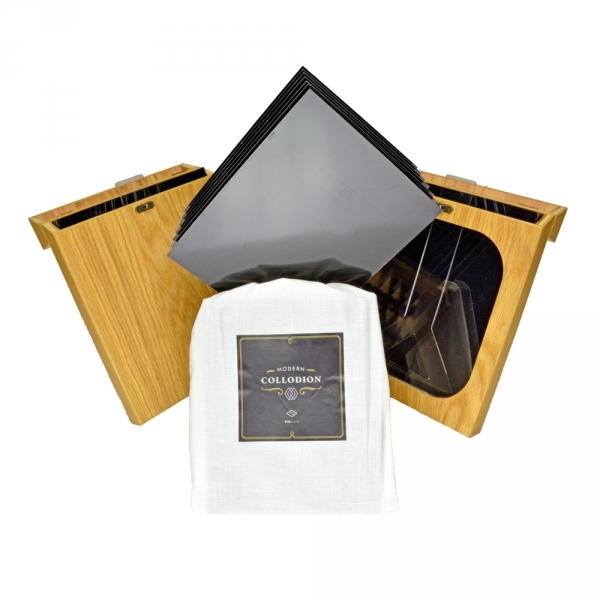 Each plate has a high gloss finish and a clear protective film, perfect for creating beautiful Tintypes.